When was the last time you had fun at work? For many of us it has been a while and fun at work is usually something you do during lunch or around a watercooler. Employees may view work as dull, boring, unimaginative, and very often we see employees who are completely disengaged. Do a search for “employee engagement facts” and see what results you find. If you think employees are actively engaged you may be surprised to learn that many employees are not only disengaged, but actively disengaged. In the movie Office Space, Peter Gibbons hates his job so much he seeks a hypnotist’s help. The hypnotist puts Peter into a state of ecstasy which transforms everything around him. Few employees get to achieve the level of ecstasy that Peter does in the movie. People have bills to pay, mouths to feed and bosses to listen to. That doesn’t mean work can’t be fun and hopefully at the end of this post you will have some ideas for making work at your company fun. In the clip below let’s look at what a typical day is for an employee at Initech and how Peter’s new state of ecstasy hilariously shows how many employees feel on a daily basis. The good news is it doesn’t have to be that way, you can have fun with your coworkers and in return get more work done. At least that is the hope with a new term called gamification which wikipedia defines as “the use of game design techniques and mechanics to enhance non-games. 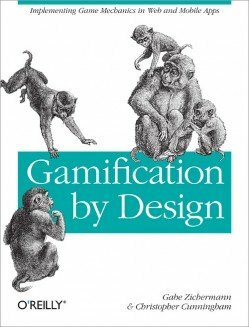 Most people who hear about gamification likely first encountered it via Foursquare or Jane McGonigal’s TED Talk (embedded below). For me it was Jane McGonigal’s TED Talk which I loved. If you have the time to watch the video just know for the first few minutes you are going to think she is out of her mind, but them you should start realizing she is onto something brilliant. 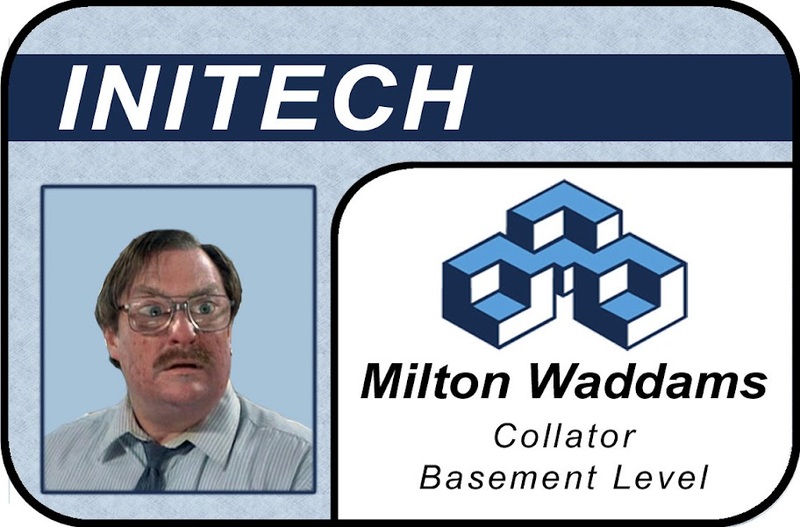 Going back to our Office Space comparison, any time you are forcing gamification onto someone it will rarely go well. See the video below on the pieces of flare as an example of an organization forcing someone to take part in something they don’t believe in. When you are looking at how to introduce gamification to your organization, it shouldn’t be forced. The people engaging with the gamified application should want to play the game (use the app). Gamification tends to be associated with trying to solve things technically but it has been around for years but we didn’t have a term for it (or we didn’t call it gamification). McDonald’s has mastered gamification via the games they promote to us so that we in turn buy more products from them. There are other companies doing similar things like club cards, memberships, travel rewards, credit card redemptions to name just a few. I personally find what McDonald’s has done fascinating. Starting with Happy Meals they condition kids to love their brand at a very early age via cheap toys (Cracker Jacks even before them). They have Ronald McDonald and a cast of characters into give their restaurants a fun and inviting place for all, but especially children. If they can get children to want to go to McDonald’s the parents obviously need to come as well. They have Play Places and although the quality of their food is always going to be public debate, nobody can argue with the success they have had applying game mechanics to promote their food. As we grow up we still have a soft spot for these types of brands because they are brands we’ve grown up with. Now as adults they can’t let you not stay engaged with the brand. 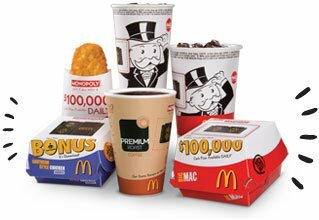 They offer promotions like Monopoly where each item has a Monopoly board piece to compete to win cash and prizes. I challenge you to look around your day to day lives and document the game mechanics we have all around us that we may have failed to think about as “gamification”. Then as you look to apply gamification to a technical challenge, remember to think about successful non traditional game mechanics. Combine non traditional and traditional game mechanics to your application if you really want to take things to a whole new level (most people only focus on one or another). Gamification is often criticized because many view it as nothing but leaderboards and badges which are supposed to represent how engaged someone is with an application. I personally like badges and leaderboards because I’m ultra competitive but some employees aren’t going to respond to that type of game metric. 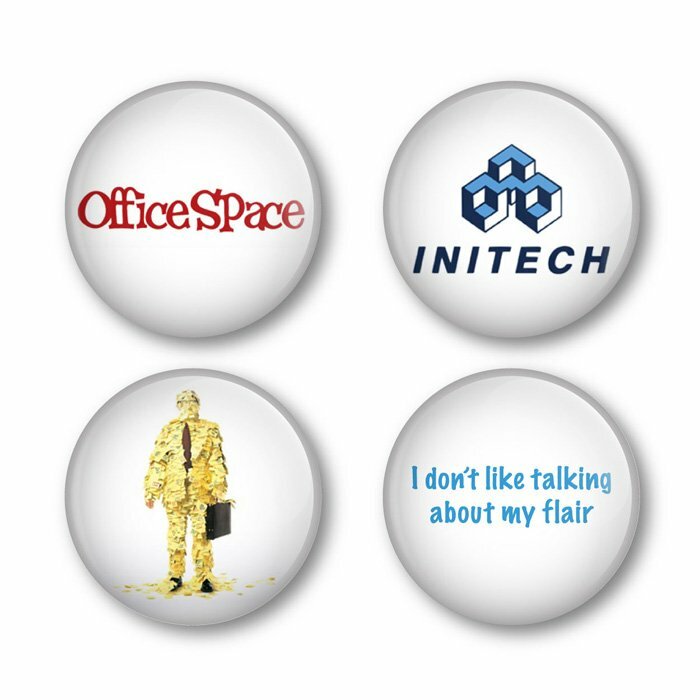 I like the idea of using badges because if done properly they will represent expertise within your application, or if done really correctly, your entire organization. In Office Space Brian is a waiter at Chotchkie’s who takes the “points of flare” to a whole new level. Joanna, played by Jennifer Anniston on the other hand hates wearing her pins, or “pieces of flare”. Everyone is motivated by different things is the point here. Most companies are great at sprinting, but they are terrible at running a marathon. What I mean by that is many companies will dedicate a lot of resources and effort to an initiative but over the course of weeks, months, or years they can’t sustain the pace. Many companies get tired after a very short time because they didn’t train themselves for a sustained effort. Gamification can help with this if implemented properly. Gamification in most instances makes an effort or an application fun to do so people will be more likely to do it. Community is also something to consider because without a community, your users won’t have anyone to interact with. Most companies want to focus on what tools to use for handling gamification but if you don’t also focus on internal processes to handle change management, you could risk success. Setup your application with quick rewards to get your users off to a quick start. If your gamified application needs training, consider if you’ve designed it correctly, and if training is necessary, whenever possible add it as part of the game so users hit the ground running. Obviously people playing your game will need to start at “square one” so find a way for them to level up quickly so they don’t get frustrated with how difficult it is to progress in the game. At the same time don’t make it too easy to level up or they will also lose interest. Make it clear how to start and as you complete something it should be clear to those playing the game what the next step is. I find many examples of companies trying to apply game mechanics to sites and as soon as I complete my first task it is not clear what I need to do next. However you apply game mechanics to what you are looking for your players/viewers/customers to do, make it fun. Make sure it is something you would want to do, and do often, for sustained periods of time. I don’t have a crystal ball but I would imagine gamification is a term we will continue to hear for some time to come. 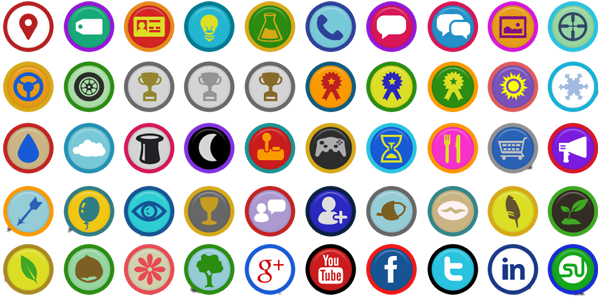 Currently gamification tends to stay with leaderboards, badges, points, and I think all of that is great. Most industries are starting with basic game mechanics and I think we’ll see those methods will help keep our users/employees engaged for a while. 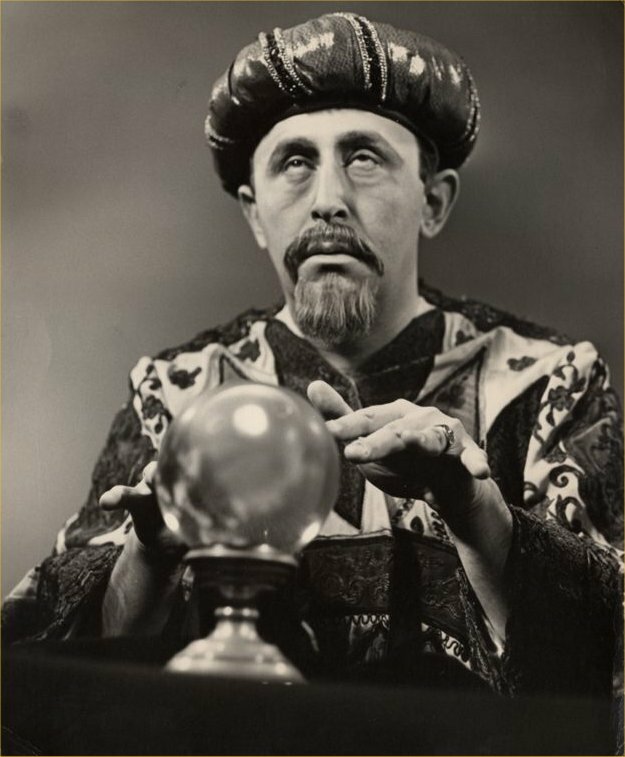 Those types of game mechanics tend to be “Gamification 1.0″…sorry yeah I went there. I think gamification 2.0 (yeah still going there) is going to be more about making all aspects of work fun, not just some parts of work. Having people work without knowing they are working. That might be a tall order, especially in some workplaces. I think it will also be about playing actual games, not trying to implement a game inside of an existing process. Some of the best companies are already starting to do that today. Employee engagement and culture is immensely important and those who are focusing on it are likely seeing the fruits of those efforts. Gamification will aid in retaining top talent, recruiting away talent, and your customers will appreciate it because your employees will become brand/company advocates. Go to a competitor of your company, and compare your company’s employees to those of your competitor. If you see passionate, knowledgeable, engaged employees, you will likely spend your money with that business. Engaged employees are working, but you wouldn’t know it, and I don’t know if they know it either. That is what all companies should want. Most companies do some things well but we should demand better. Demand change when necessary, even if it means employees need to interact or “play games” to get the job done right. If your customers/employees/viewers aren’t engaged and don’t already trust you or your company, the chances of them wanting to play a game or interact with you is going to be an uphill battle. It isn’t as easy as throwing leaderboards and badges into your solution. Look back at our McDonald’s example from earlier on. They have commercials, signage / advertising, and find ways to make buying their food fun. In the end there aren’t crystal balls, there isn’t a perfect solution to solve your problem, solving these challenges are incredibly difficult. Gabe Zichermann and Christopher Cunningham recently wrote a book called Gamification by Design. To be honest it is sitting on my Kindle waiting to be read but I’ve heard some great things about Gabe and the book. If you have other thoughts, please continue the conversation in the comments of this post or connect with me so we can connect offline too. Happy gamifying your life…now if I can just find that stapler. And can you put a coversheet on the TPS Report for me? 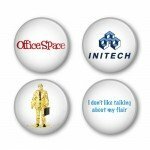 What can Office Space teach us about Gamification is the work, and many times, the applications we have employees use isn’t engaging or fun. Make work matter, make work fun and better results will most likely follow.